Will next SECDEF decide fate of Sgt. Rafael Peralta’s Medal of Honor? You are at:Home»Awards»Will next SECDEF decide fate of Sgt. Rafael Peralta’s Medal of Honor? Navy Secretary Ray Mabus reinforced the Navy Department’s longstanding support for fallen Sgt. Rafael Peralta receiving the Medal of Honor on Monday, creating a wave of news coverage as defense officials review new evidence in the case. The decision to give Peralta the nation’s top valor award rests with Defense Secretary Leon Panetta, Mabus told reporters after a ceremony at Camp Pendleton, Calif., where three Marines and a sailor were honored for heroism in Afghanistan in 2010. Mabus’ support for Peralta receiving the Medal of Honor has been consistent, he said. The comments come more than eight years after Peralta, 25, died during house-to-house fighting in Fallujah, Iraq. He’s credited with saving the lives of several fellow Marines for smothering a grenade blast after already being mortally wounded by a richocheting rifle round. Peralta was put up for a Medal of Honor by the Marine Corps after the battle, but it was eventually shot down in an unusual move by then-Defense Secretary Robert Gates in 2008. He decided it wasn’t conclusive that Peralta had made a conscious decision to cover the grenade since he already was dying from the gunshot wound to his head. As reported previously, the Navy Department decided to review new evidence in Peralta’s case earlier this year that proponents say back the notion he pulled the grenade under his body before it went off, and deserves the MoH. That leads us to where we are now — and an interesting wrinkle in the timing. 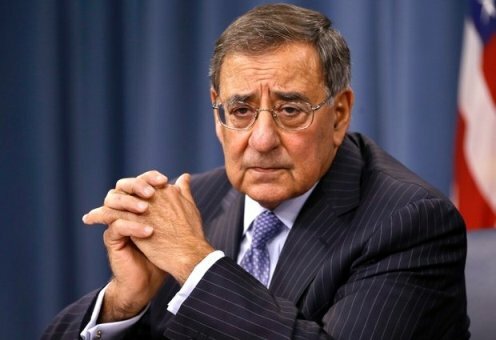 Panetta is expected to retire, possibly stepping down as soon as next month to return to his walnut farm in California. While it certainly seems possible the SECDEF could decide to upgrade Peralta’s award before riding off into the sunset, it’s probably more likely the decision will be left for his successor in 2013. The candidates for the job reportedly include former Republican Sen. Chuck Hagel, former top Pentagon official Michelle Flournoy, Deputy Defense Secretary Ashton Carter and Democratic Sen. John Kerry of Massachusetts. Several insiders also have floated the possibility that Mabus himself will step up into the job, creating an interesting situation in which he’d hypothetically approve looking at additional information in Peralta’s case one year, then approve the award the next while serving in another job. For Peralta’s sake, all of this bears watching. It has been eight years since he died, and his family isn’t giving up. I believe Leon Panetta will make the right decision and award Sergeant Peralta the long over due Medal of Honor. He is a former Veteran and a just man, this will be done under his “watch!” I would expect nothing less of him.